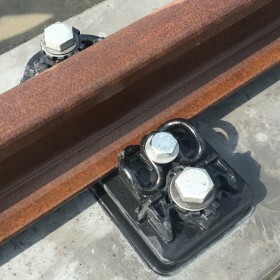 Due to its plastic system frame, the DFF 336 NG system is a light-weight alternative to the classic 336 steel ribbed plate solution. The high proportion of durable plastic in the system achieves a high weight saving. This results in logistics advantages, corrosion protection, and easier handling during installation.